See a Site Map Learn More! Colleton River is the closet community to the Island. It has 2 wonderful golf courses and a par 3 golf course. It has more water front homesites then any other community in Bluffton. It has wonderful Big Oaks more then any other.The homesites are large and the amenties are great. With a great staff and strong Reserve it makes a great Country club community to live in. It has had the strongest realestate year of all the communities in Bluffton. See Colleton River For Yourself! Heralded as one of the nation’s best golf course communities, Colleton River raises golf club living to an art form. Home ownership within this gated community automatically qualifies you for membership in its two spectacular courses. The first development of Colleton River Plantation homes sold out quickly; recently 800 new acres of land have been made available for new home construction. Colleton River’s two signature courses have been included on Golf Magazine’s “Top 100” list. The Colleton River Plantation Club was recently recognized for excellence by the Platinum Club of America—the only club in the Hilton Head area to receive this award. A clubhouse with men’s and women’s locker rooms and a fully-stocked pro shop are located at each course. If you are interested in learning more about Colleton River Plantation or would like to see properties in the community, please contact us. 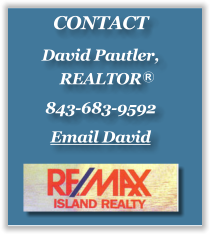 It would be our pleasure to assist you in your Hilton Head Island area home search. Local market information for Colleton River will help you make sure you don't buy too high or sell too low! Just check the reports you want from the list below, and you will receive them via email right away! We value your privacy. The information provided below will be kept confidential. Your personal information will never be sold to a third party or used for any purpose other than serving your real estate needs. Ready to learn more about Colleton River? Don't waste time looking at homes that won't fit your needs. Take advantage of my local knowledge to make sure you see the right homes in the right neighborhood! Call me at 843-683-9592, or use the form below to send an email. David, you can put a couple lines here if you want. You can also set these up, like this one, so that the reports don't require a sign in. I'm just not sure if that would be confusing because some of the reports you have to sign in and some not?? Again, you can add info here. and not require sign in if you don't want to.